Is Valentine’s Day Really Just for Couples These Days? When I mentioned to my friends about hosting a Galentine’s Day party, they were like “a whaaat”? I was surprised they hadn’t heard about it since it’s the latest trend that is going around for Valentine’s Day. But what surprised me even more was how much people still look at Valentine’s Day with the traditional way of celebrating it – focused on couples showing just how much they love each other. They (my friends) thought Galentine’s Day was for the single ladies out there but for me the meaning of Valentine’s Day has evolved to a holiday where you show whoever you love that you appreciate them. This could be your children, girlfriends, boyfriends, parents, work family, significant others– I could go on. Maybe not everyone has this same viewpoint, but I think in today’s world having a day where we show those we love that we appreciate them is equally as important. Host a simple brunch at your home and ask each friend to bring their favorite dish. If you’re a planner or someone who likes a more cohesive menu (like me) then create a menu and assign a dish to a friend. 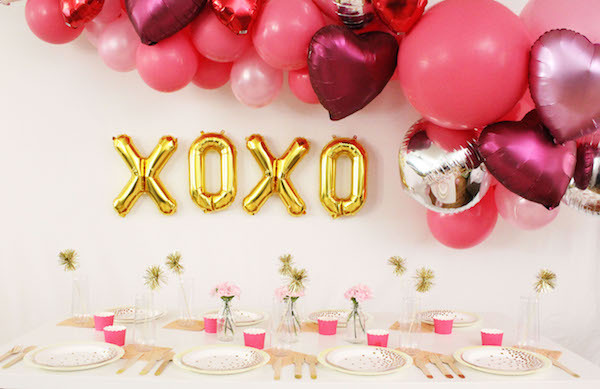 Setup your dining room area with some Valentine’s Day décor. We built a custom Galentine’s Day Party Box. 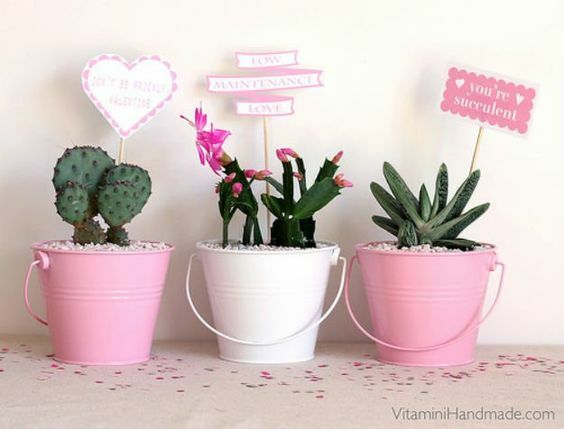 or if you’re crafty we loved these cute DIY succulent planters from Vitamini Handmade. And what would brunch be without a Mimosa Bar? If you need some ideas Sweet Phi blog has some great tips. It’s never too early to teach your kids how to show love and appreciation for their friends either! Host a little party with their favorites filled with fun snacks, desserts, and crafts. 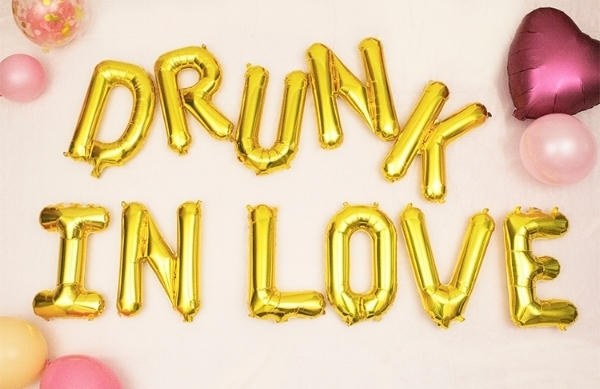 We love the “I Chews U” Valentine Pun. Add in some bubble gum to the party to play up on that theme. If you host the party before Valentine’s Day a fun craft for the kids would be handmade Valentine Cards to handout at school. For some ideas, we found these free printables on the Dreaming in DIY blog. An oldie but a goodie. I’m all about sharing the kitchen and making dinner together. It’s fun and more interactive than having one person make the dinner for the other. Add in some fun décor to set the mood. Maybe leave a special little gift on the table for them from their favorite store or if you’re on a budget these printable love coupons we found from Capturing Joy with Kristen Duke are perfect and may actually be more meaningful. Regardless of how you choose to spend Valentine’s Day make sure to just celebrate it. We all want to be loved, feel loved, and we have an opportunity to show it in a BIG way!